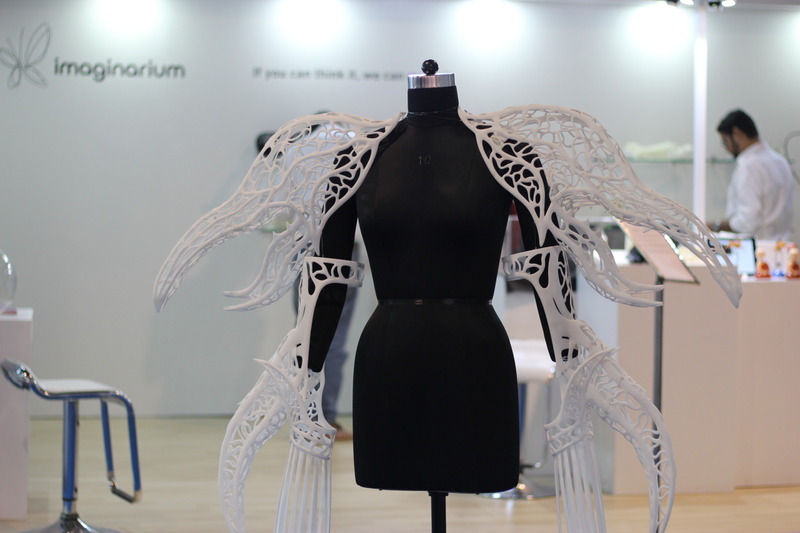 From intricate jewellery to high precision protoypes to patient specific anatomical models, Imaginarium had a lot in store for the industry at Inside 3D Printing 2016, Mumbai. The second edition of the Inside 3D printing Conference and Expo concluded recently in Mumbai. Having quickly grown to become the largest professional platform for the Additive Manufacturing fraternity in India, I3DP Mumbai had all the elements to grasp the awe and interests of the audience. Imaginarium, as the lead patron had a gleaming showcase demonstrating the applications of 3D printing in different verticals. From Precious jewellery to precision-engineered prototypes, and patient-specific Anatomical models, the booth reflected how this technology holds a major role in product development and Imaginarium’s range of services and support to help creativity reach new horizons. A 3D printed mannequin from Gavin Miguel was live at the booth. “Breathing life to my designs with 3D printing has only given me scope to dream the unthinkable. My association with Imaginarium on this project is a new chapter, a new beginning yet to unfold in future,” believes the bespoke designer. At the Metamorphosis Experience zone visitors couldn’t seem to get enough of 3D printing. With an absolute educational front, people were elated to try their hands on something that had been encrypted as Science fiction by a layman till date. Injecting wax into moulds was fun and so was getting to see an accessory ‘printed’, live! A hands-on experience with 3D printed guides to make precise cuts and incisions during a surgery, gave them a clearer picture of how technology is revolutionizing the medical and healthcare industry for a better future. The conference sessions saw eminent personalities discuss the role of additive manufacturing in changing businesses, industrial, and medical applications. The growing demand for 3D printers in Indian market could be seen with an increase in the number of booths as compared to previous year. Exclusive networking opportunities and keynote presentations marked the day with the Indian 3D printing community coming together to build a better tomorrow. Take a digital tour of the event here.